People have been stuffing bigger batteries and more powerful drivetrains into little toy cars for decades, so it’s about time someone stuffed a tiny little gas engine into it. 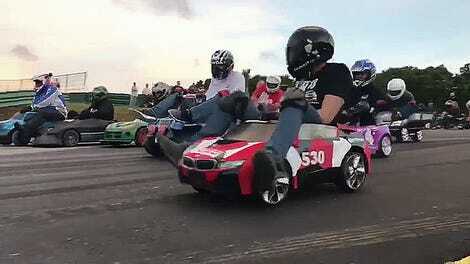 The mad geniuses at YouTube’s Grind Hard Plumbing Co. adapted a 240-cc engine from a Honda CRF230 dirt bike to fit in a Barbie Mustang using Craigslist go kart parts, and the resulting grown-up toy is amazing. The Grind Hard team says that they built the kart in just four days. 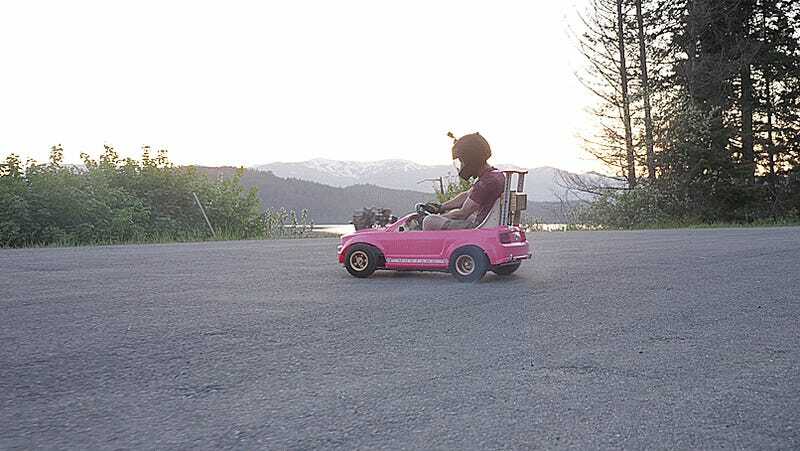 They took an old go kart from Craigslist, got it running, ditched the fartcans and cut it down to size to put it under the Barbie car. The engine was ultimately swapped out for a 240cc Honda CRF230 dirt bike engine, which was moved to the front of the car for better weight distribution (not to mention the cool effect of it sticking out of the Mustang’s hood). It shifts with a little lever, and it’s a bit of a crazy drift monster. They’ve since started shaking down some of the gremlins—like everything sticking, for one—and did a top speed run in the thing. They claim it got up to 72 mph, hit 60 mph in 6 seconds and did a 16-second quarter mile. 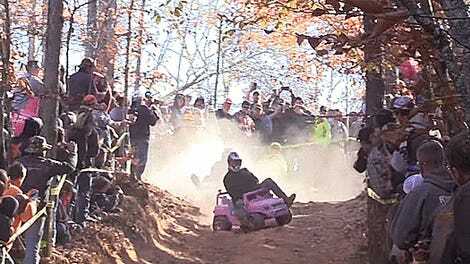 That’s 72 mph in a Power Wheels Barbie Mustang, just to reiterate. It’s so cute but terrifying all in the same car! 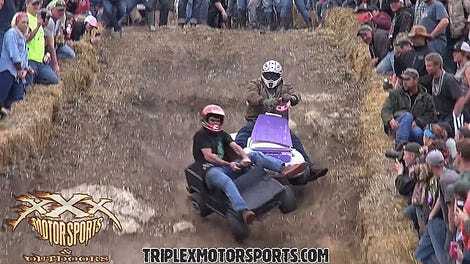 And of course, it’s already been challenged to a race, wherein it absolutely ran away from a Honda Odyssey ATV. They’ve started documenting their build in a fresh set of videos (the first of which can be viewed above), but they also have a time lapse of the full conversion up in the meantime. “I’ve already almost died like three times driving it,” said one of the Grind Hard dudes. Sounds about right.